Kangarootime's new app automates administrative aspects of childcare such as billing, child check-in and check-out, and parent-teacher communication. The cloud-based mobile application officially went live on January 4, 2016. So many of the technology products in childcare are very antiquated and running on ancient technology. Our platform isn't just modern, it's entirely cloud-based so schools can run our entire platform on a $150 Chromebook or tablet. 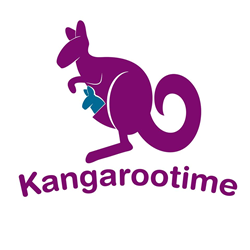 Kangarootime Founder/CEO Scott Wayman is pleased to announce the successful commercial launch of the company's first app which automates the billing and managerial aspect of childcare services. The app is the first of its kind to offer all-in-one support for automated billing, teacher-student ratio management and providing parents with real-time updates on their child's educational experience. "We save the average Pre-K and childcare center about 40 hours per week in labor," says Wayman. "We completely automate their revenue cycle from issuing billing statements to processing credit cards and e-check transactions. And once we bring all of the parents into the app, they stay more connected to their child's care experience than ever before. It's really the first all-in-one childcare app on the market, but it's our parent connectivity feature that our users have been most excited about." Since the Kangarootime app launch in January, the management system has seen more than 2,000 downloads. In the first days of the app's launch, Wayman says the company has brought dozens of childcare centers onto their platform with more than 100 centers in the implementation stage. "Traditionally, most early childhood and elementary schools have lagged behind the times in their use of technology, instead using very manual tools for enrollment and billing. This app gives them access to one of the most advanced databases in education technology. So many of the technology products in childcare are very antiquated and running on ancient technology. Our platform isn't just modern, it's entirely cloud-based so schools can run our entire platform on a $150 Chromebook or tablet." Wayman also believes the platform is highly scalable and says a number of K-6 grade schools have already contacted him about utilizing the app. Many states have stringent regulations concerning the teacher-to-students ratios, and the Kangarootime app also allows administrators to monitor and even forecast their ratios in the days, weeks and months ahead based on ratio history data. The next update for the Kangarootime app is slated for April 1 and will include a number of new features that allow parents to monitor their children's days in real time. Kangarootime provides childcare professionals with a cloud-based mobile application that collects payments, automates child check-in and check-out and streamlines communication. Kangarootime’s platform leverages automation to manage collections, revenue cycle, center utilization and regulatory adherence. To learn more, visit kangarootime.com.